It’s always a good idea to plant seeds at least a month early before the growing season. This should be done in a controlled environment such as a greenhouse – if you have one. Starting them early ensures that by the time you transplant the seedlings out into the garden, they would have had a great start to life – establishing their roots and growing past their tender young cotyledons (first two leaves) which are susceptible to slugs and snails. It’s also good to start them early because some seeds take 2-6 weeks to germinate. Add growing time on top of that and you’ve pretty much encroached well into the growing season. We don’t have a greenhouse at home as there is no room to erect one. This doesn’t mean that I can’t replicate a similar environment on a smaller scale, however. On top of that, it can be done cheaply as well. I use plastic cups. They are so perfect for this type of use as they are clear – allowing light to penetrate and deep – allowing roots enough room to grow as well as allowing ample room of the shoots above to grow high enough when used as a lid. All this in a very compact space. All the materials I used can be readily found at home. 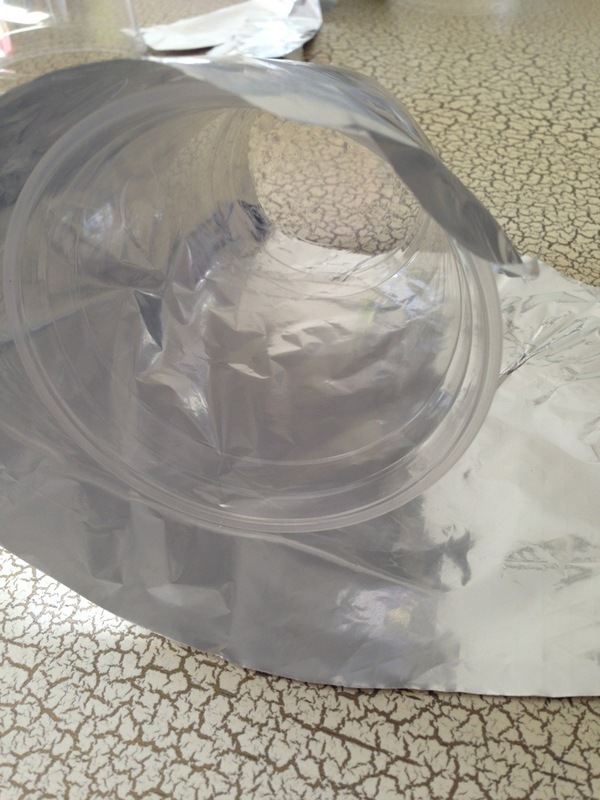 **I wrap the outer ‘sheath’ cup in Aluminium Foil to prevent any algae growing in the moist soil when I place them in the sun. It also helps to regulate the temperature of the soil. It doesn’t matter if it’s shiny side in or out. 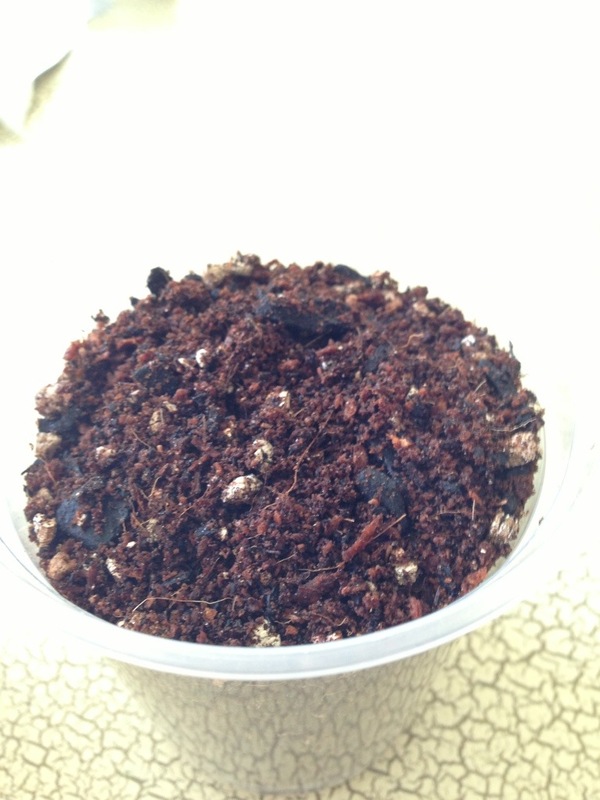 **I make my own Seed raising mix by mixing 2 parts rehydrated coir to 3 parts organic compost and 1 part vermiculite. For however many you wish to make, cut the tops off the same amount of cups. (e.g. 5 Mini Greenhouses – cut 5 cups). Make the cut approximately 1 centimeter down from the lip. 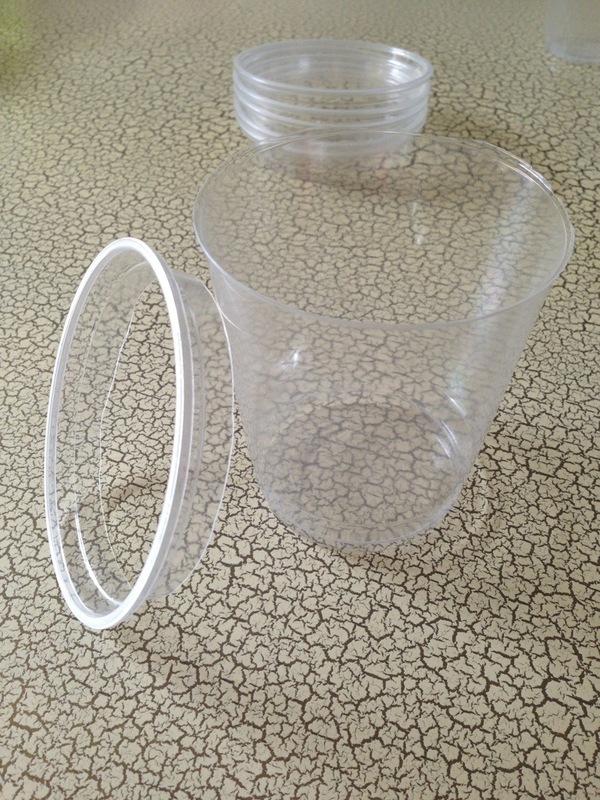 this is the ‘lid’ cup. This allows the ‘lid’ cups to rest just on top of the soil. 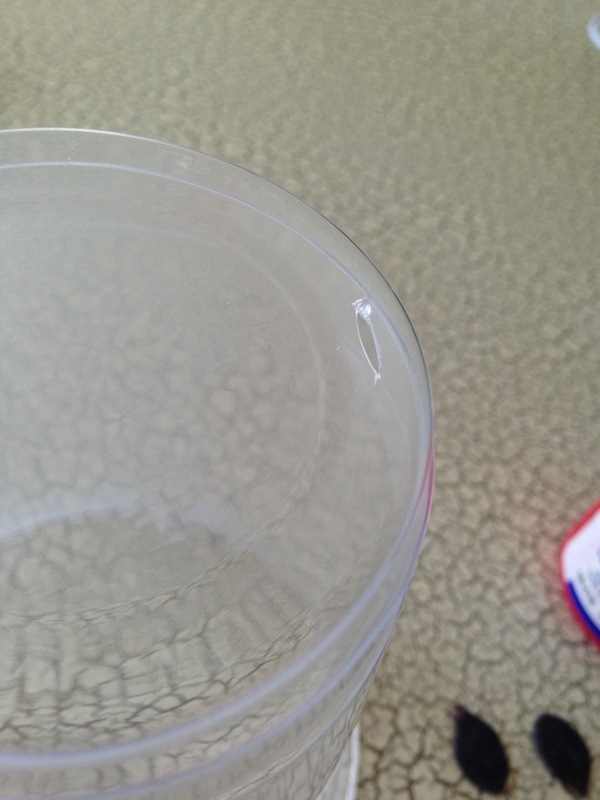 If you have cups with ridges (like I do), simply cut along the ridges and the lids will fit perfectly on top. It doesn’t have to be a perfect cut – by the way. For however many you wish to make, make three evenly spaced slit holes off the same amount of cups at the very bottom. (e.g. 5 Mini Greenhouses – cut the slits in 5 cups). 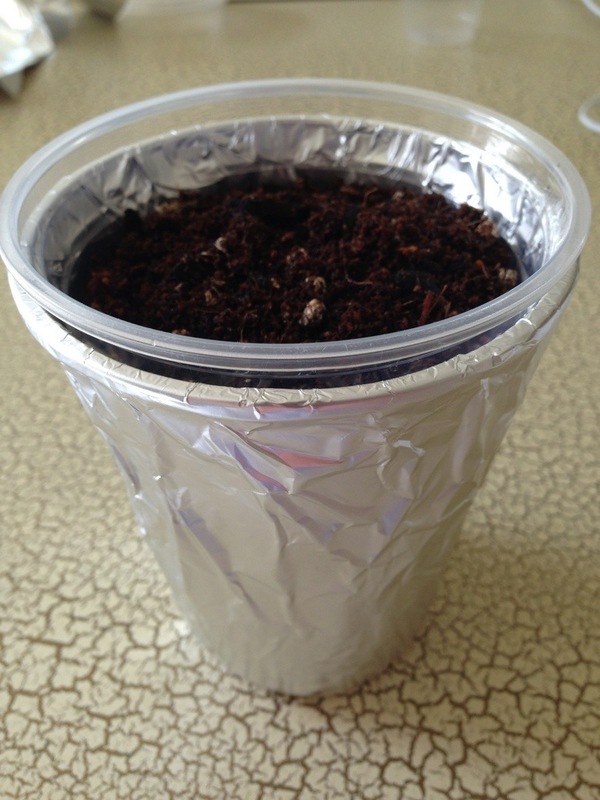 This is the ‘container’ cup which holds the soil and the plant. Next, tear out some aluminium foil and lay it onto a supermarket catalogue. Take a cup and start rolling it from one end of the foil until it reaches the other end, forming very faint embossed arches. The supermarket catalogue provides a soft surface so that the cups can make a more pronounced embossed line on the foil. Cut the foil approximately 1 or 2 centimeters away from the embossed arches, following the curve of the lines. Starting at the end closest to you, place an un-modified cup on the foil on top of the embossed lines. 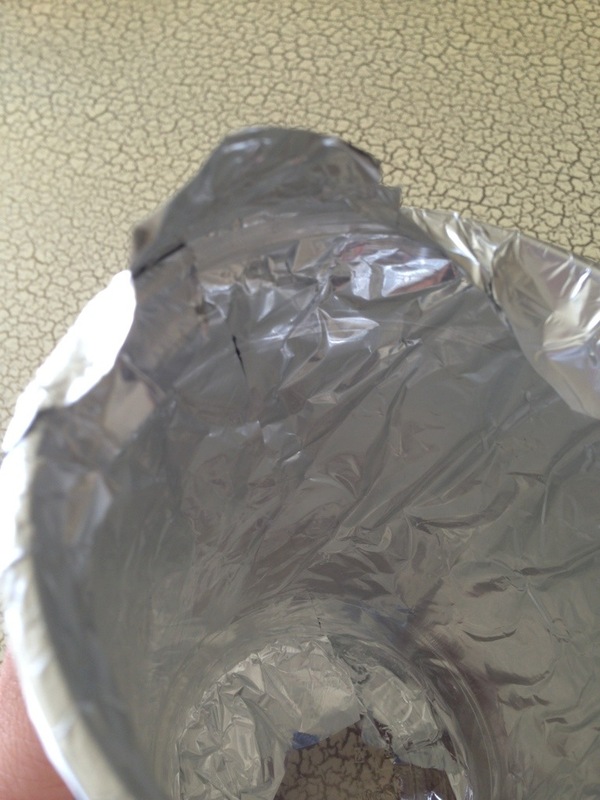 Start rolling up the cup along with the foil. 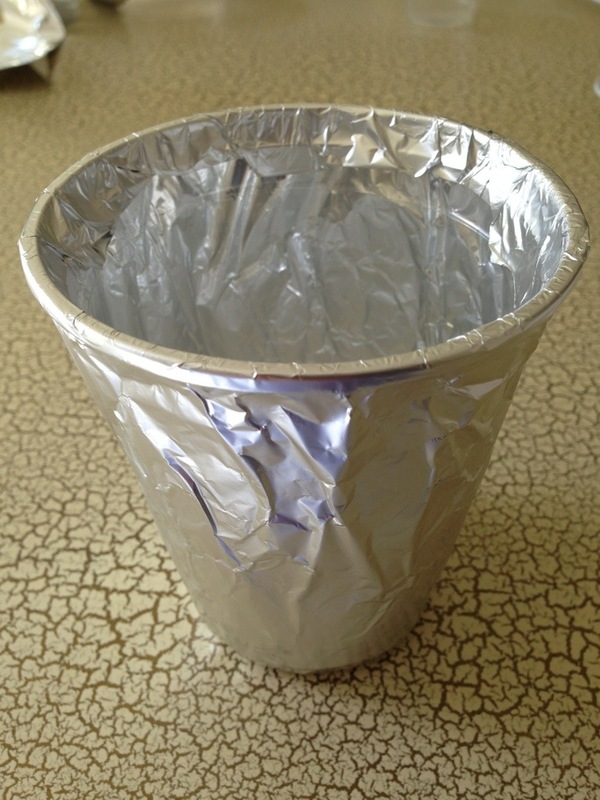 When the whole cup has been enveloped by the foil, simple fold the overhanging foil down into the cup cavity, locking it in place. 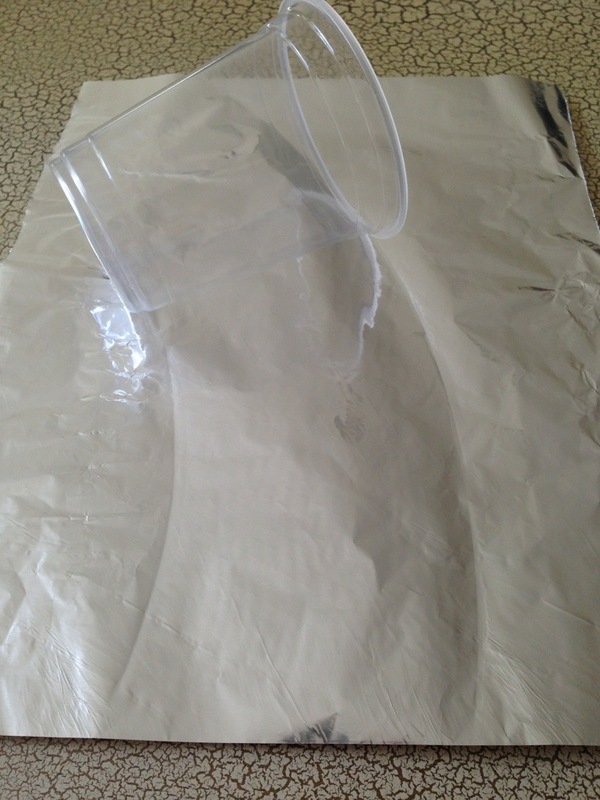 Do the same with the bottom but in this case, simple fold the overhanging foil flat on the bottom. Press the cup down on the table to make it even flatter so that the cup sits evenly and doesn’t have an opportunity to tip over. 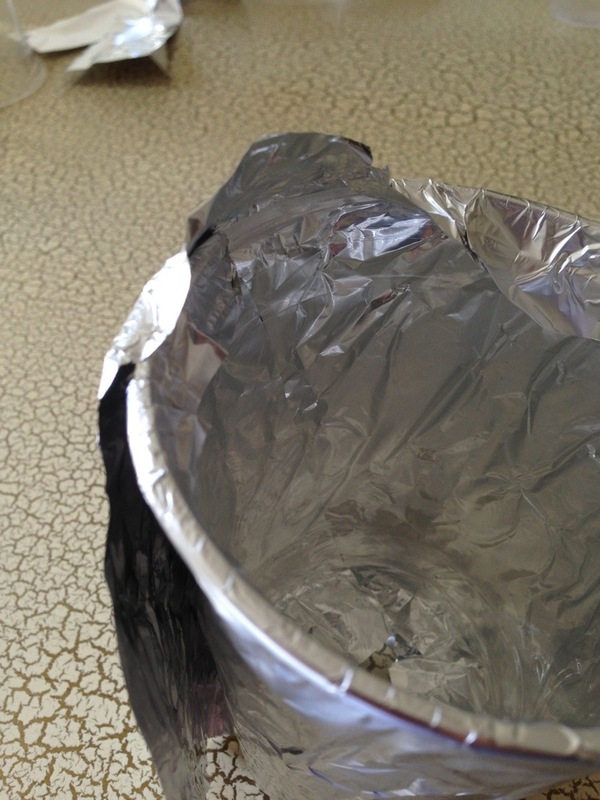 Glue or tape down any loose bits of foil. For all the ‘container’ cups, fill them to the top with your seed raising mix. Tap the cups sharply down onto a solid surface. 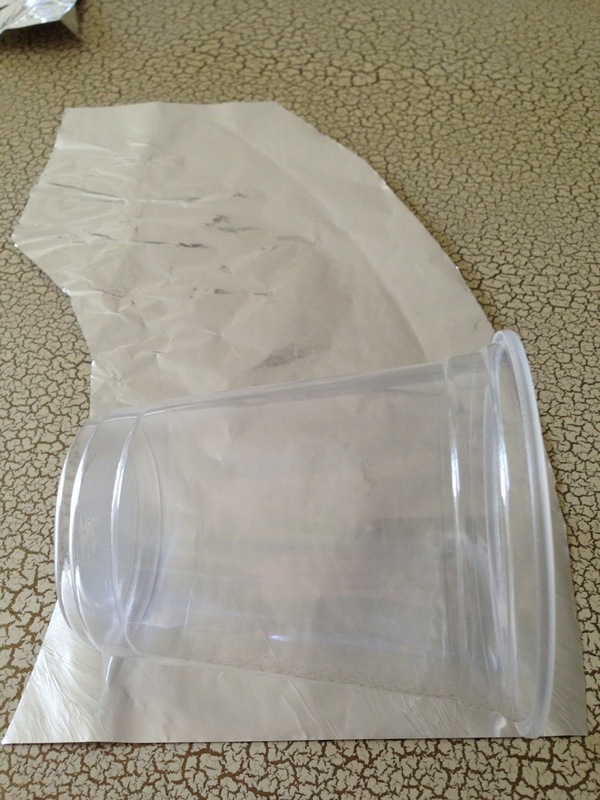 This will reduce the volume in the cup by about 1 centimeter, which is perfect for the lids. Place the cups in the foil covered sleeves. They help to block out light and also catch any excess water that has drained out. Remember to tip them out every now and them. Finally, all you need to do is sow your seeds, give the soil a light misting with a spray bottle, put on the lids and place the mini greenhouses in a sunny spot.